Posted on December 10, 2015 by Vicky LorasPosted in blogging, education, inspiration, learning, life, special momentsTagged blogging, learning, life, reflection, special moments. And THANK YOU Vicky Loras for teaching me how to blog as well!! Love you too! I’m happy you also created a blog. You have so much to share. Wow! Six years. Way to go! MAZAL TOV! So glad you took that plunge and began blogging – your blog is always a pleasure to read! Thank you so so much, Naomi! I’m so happy we are blogging sisters, as it’s your blog birthday too! Thank you so much, Hana and happy blogging to you as well! Awesome to see where we’ve all come from to where we are now. Congratulations on the milestone Vicky! Thank you so much, Tyson! 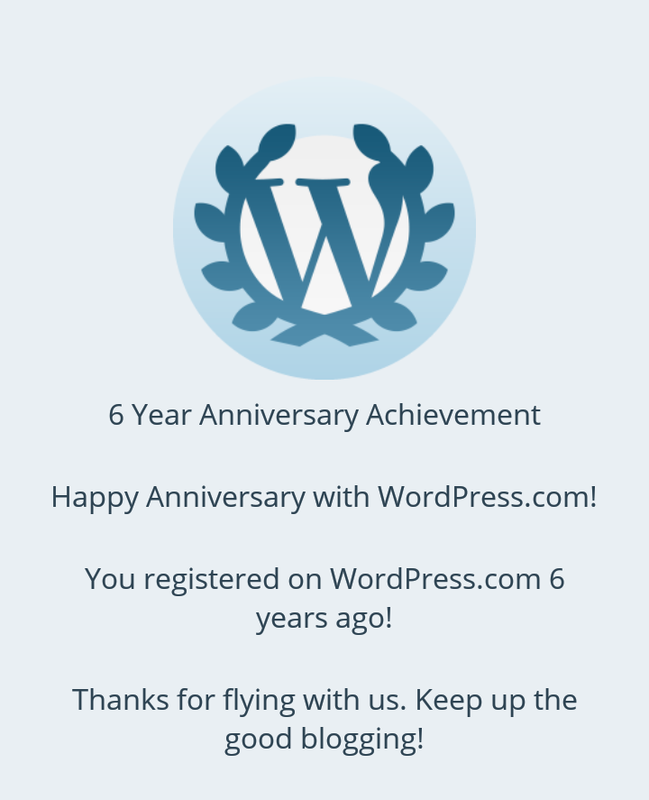 You’ve been one of the people who have supported me and the blog from day one. Your comments have very often made me think and get new ideas! I’m grateful for that!